Browse at your leisure in the county’s oldest and most scenic cemetery. 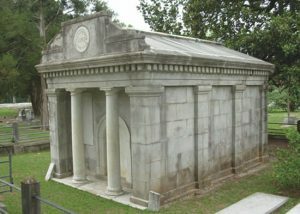 The Victorian Era cemetery is the final resting place of missionaries, a Georgia Governor, Civil War Soldiers, business and county leaders and prohibitionists. Explore this quiet place to see examples of funerary art of the mid-nineteenth century to art deco monuments of the twentieth century. On the National Register of Historic Places. Learn about the 2015 Lantern Tour!